Naboisho is ideal for travelers who want to a true bush get away with no wireless Internet or swimming pools. The camp is also unfenced, allowing animals to wander through the camp as they wish. 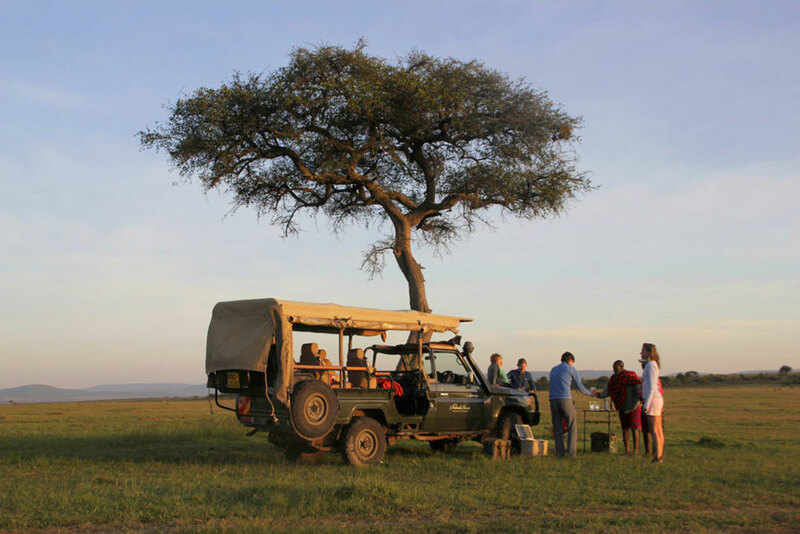 The exclusive nature of this conservancy means the environment here is pristine, and low vehicle numbers make game viewing feel much more authentic and peaceful. Guides here will turn vehicles off and allow you to watch animals as long as you wish. Just 8 tents make Naboisho Camp intimate and relaxed. Families are well-accommodated here too, with spacious suites and private verandas. Each tent is beautifully appointed and comfortable, featuring wood furniture and en-suite bathrooms with outdoor showers. Despite the camp’s basic outfit, the tents are luxurious and clean, with very comfortable beds. Service here is impeccable and friendly, and staff quickly learn guests’ names. The food is always freshly prepared and delicious, and early morning tea and coffee is brought to your tent before morning drives. Enjoy varied buffets at lunch, and the opportunity to get to know the camp managers. There is a camp lounge area if you wish to get out of the room. It provides for good animal viewing as well, and you can site either inside or outside based on the weather. Morning, afternoon and night drives allow plenty of opportunities to find the Big 5 and other exhilarating wildlife. Expect to see animals ranging from elephant, cheetah, lion, wildebeest, impala, giraffe, topi and hundreds of bird species. One of the great advantages to a private conservancy is also the ability to do bush walks; a fantastic way to get closer to the game and discover the smaller, more elusive animals. The guides and camp managers are both knowledgeable and entertaining, making bush walks a must-do at Naboisho. Don’t miss the opportunity to take part in fly camping and cultural visits with the local Maasai. Want to see Naboisho Camp as part of a trip? Enquire today to let us help build your holiday.